Part 1 of the The Kartemquin Collection: The Early Years, Volumes 1-3. For over 45 years, Kartemquin Films has been producing documentaries that examine and critique society through the stories of real people. In this first volume of a three-part series, you can experience some of the classic films that marked the early years of Kartemquin Films. 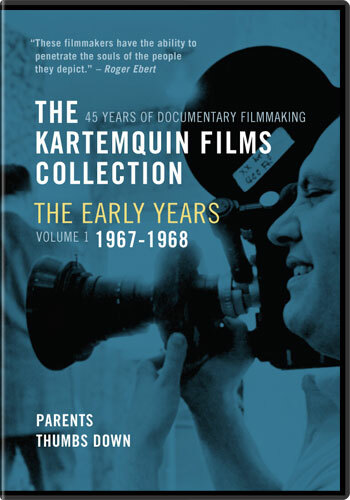 The Kartemquin Collection: The Early Years, Volume 1: 1967-1968 features two cinema verité documentaries, Parents and Thumbs Down.